Jackson is relatively unknown, but his speed at the Combine quickly got him on everyone’s radar. Has track & field history from high school. Standout sprinter that is one of the fastest players in football. Put up 1600+ yards & 20 TD’S on offense his SR year in high school. 5 Star Recruit coming out of H.S. Very familiar w/ Man as well as Zone/Off – Agility. At times hits his man w/ a good placed punch to one or both shoulders. Has a very fluid backpedal & transition. Will mirror & shuffle. Staying within feet of his man. Quick twitch bounce to burst on passes in close quarters. Very smooth athlete that can turn & burst. – Very comfortable in zone/off when the play is in front of him. No thinking, just click & close. Allows him to utilize his biggest asset, speed. Uses the sideline like a pro. Good job preventing the big play. Very good on crossing routes. Very tough to beat on straight vert routes w/ no fake or move thrown in. Speed, & Versatility – Lined up almost everywhere in the secondary for LSU. Has legit track speed & closing burst. Brings special teams experience. Looks like a player that could play inside/Outside bc of body type, speed & ability to flip his hips. Has attitude, motor & drive you want in a guy at that position. Competes for every ball he can. Big time athlete w/ upside. Young player that has his best play in front of him. Special teams, to the versatility in the secondary, could be contribute in several areas. Right now, as is, bigger, stronger WR’S would have their way w/ him. Was displayed live & on film watching him. Probably will always be smaller but he has to get stronger. Will launch at the ball carriers feet & miss. Again this is due to protecting himself bc of lack size/strength. Speed can be neutralized by proper running. Lack of instincts take him away from the immediate play area. Has to add some much needed bulk to his body. Jackson has intriguing qualities that do indeed remind you of some great CB’s in today’s game. He has the speed, uses the sideline & has the closing ability to develop into a very good man corner. He also shows signs of what would be a good player in zone after some coaching & trail & error. He catches w/ his body so I wouldn’t expect many INT’S but he competes for every ball. He’s a rough rock right now but could be a gem w/ in the right situation. Would be nice to have their wonderlic scores. Interesting comparison, that is really bad on 3rd down. Is there any chance pats double dip at QB? Yes that 3rd down conversion caught me by surprise. As far as double dipping your guess is as good as mine. I keep going round in circles when it comes to the QB position. Since doing the 1st round QB possibility breakdown I’ve taken a what if Lauletta does go earlier than expected or what if he isn’t what the Pats want approach the last few days and I have been looking at Chase Litton of Marshall since he was mentioned when he had his pro day a few weeks back to see what the Pats like about him. He is tall has the arm to make the throws and some real nice ones at that but is inconsistent in his decision making. Then I also have been looking at Princeton’s Chad Kanoff since he was mentioned as well. In all honesty I’ve been surprised at what I’ve seen from Kanoff. While I would classify him as a 1 year wonder type when it comes to production he seemed to have put things together this past year and progressed nicely. He has the size both height and hand. He makes good decisions and is a rhythm and timing QB who can run an up tempo offense(In that regard he reminds me of Brady) and was highly efficient in 2017 with a 70% completion ratio and a 4-1 TD to Int ratio. While he can make all the throws it isn’t always pretty I would say its like a duck with zip on it at times. His placement while not bad could better. So while I am tending to like him more than Litton right now I still have to evaluate both of them more before I make that decision. After initially looking at Kanoff though it reminded me of Rudolph Mason hence I seem to going around in circles. I have yet to look into Kanoff and there seems to be some character concerns with Litton. He got in trouble like 3 times so I probably didn’t spend enough time on him. That is one of the reasons why they interviewed Litton at his pro day. What the results from that was I can’t say for certain but it seemed like it wouldn’t hinder them from selecting him. The bigger concern I seem to get is his decision making on the field and what they came away with after that time with him who knows at this point. Well before the loss of Nate Solder the Patriots had only interviewed and scouted 2 OT’s but since then they have been on a tear of OT’s today being the latest where NC AT&T Brandon Parker had his pro day. Here is a video clip of Brandon performing a drill off to the side with what appears to be only 1 other individual and its hard to tell for sure but that looks like Dante Scarnecchia and he was leading the drill. I like it pretty well but question Oran Burks with a 2nd? Draft scout has him a 4-5th what’s your thinking here, is a 2nd reaching just a bit or do you see him as that good? Another good mock but again thinking one early pick, Lauletta. I know Stephen J had a post suggesting 6 or 7 QB’s might go in the 1st rd but that seems unlikely to me and wonder if that influenced you moving Kyle up to a 2nd? Not saying your wrong but kind of thing that’s early. Still when that draft actually starts BB will be moving around and we could end up with a pick somewhat lower then your 2nd and my 3rd for him. 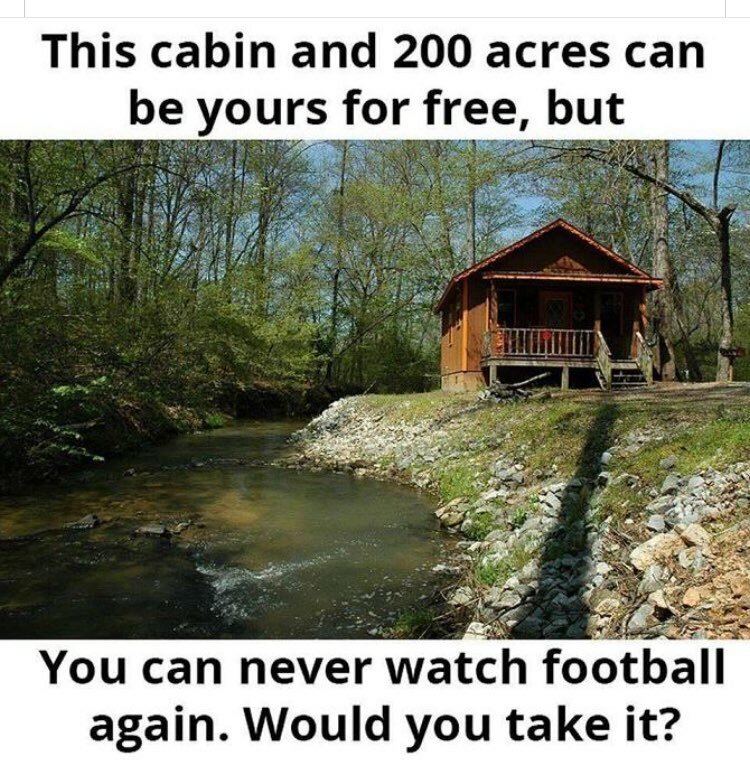 How Big a Football fan are you? mock draft 4/1: plan A and plan B.
these are non QB versions because I forgot to put in QBs. these five players are available at 31 – who do you take and why? Simple I’d trade back 4-5 spots and pick the one left over and have more draft capital for later on. Your thinking like BB which is what I expect to happen but not really the question Mac asked. If you had to pick???? Mac said who do you take and why? Why? Trade back and allow one to fall to you and accumulate more draft capital. Win Win You still get one of those players you value equally(if you didn’t value them equally then you wouldn’t be asking or struggling with the question) then to top it off you get more draft capital for another player. Would be between Vander Esch and Williams at first glance with VE getting the final nod. Leighton VanderEsch because we need an athletic LB and he is the best available .Also he is the better player listed of the 4. Hard choice but I would choose Lorenzo Carter Can play standing up plus hands in the dirt. He uses his change of direction and lateral speed along with his length well by reading defenses well enough to consistently find those spots openings which allow him to be productive. The biggest knock I have on him is that he was a one year wonder. That it took him 3 years to start putting it all together but when he did he broke out in a big way. The second knock on him would be the most obvious that being playing in a small school so it will take time to adjust/adapt but that is why he would be a perfect Undrafted free agent. Come in and compete and see if you are good enough to knock off last years crop and the winner gets a spot on the roster or at worst a spot on the practice squad to develop further. Once there just hit control + F then just type or copy/paste Zach Sieler in the box and hit enter. Just someone to keep in mind especially since the Pats have been targeting players like him big athletic DE pass rushers this off season. Now here is a stat comparison between the two Zach’s of their final college seasons. This is a comparison of their most productive year in college. Patriots Mock Draft and Predictions. 1 Possible trade to Bengals for a 2nd and third round picks #’s 46,100. Predictions Johnny Manziel signs with Patriots Gronk cools his T.O. act and gets well deserved extension and gives great training to new Tight Ends. Realistically could 7 QB’s be drafted in the 1st Round this year. I’ve listed all the teams linked and looking for QB’s. The biggest one at the moment being the Giants. They seem to like Rosen but want Chubb more. It seems like they’d be willing to trade with the Bills but don’t want to move as far back as the 12th pick. If the Bills could move closer say the 5th it would make it more likely. The Bronco’s may seem set at QB with bringing in Case Keenum. Though John Elway said he wouldn’t rule out selecting a QB at 5. If that’s the case Josh Allen looks to be in play but it seems that Elway was making that comment to say he is open to trading the pick which would open the door for the Bills at 12 or another team looking to move up to grab a QB not named Josh Allen. Why not get more picks and still select your QB say at 12 if that is who you really want and are able to get him there. This is where it gets a little dicey. The Dolphins seem like QB is an avenue they could go if DT, LB DB players don’t fall to them. If that’s the case then they have shown interest in both Mayfield and Jackson. Mayfield will be gone but Jackson could be in play if only because he is from Boynton Beach but who really knows what the Dolphins are doing. The Bills. Their 1st choice by far is Josh Rosen and not Josh Allen or Lamar Jackson as has been reported. Here is why. Last year they put a plan in place to stock pile as much draft capital as possible to select a top tier QB. During the 2017 The Bills sent 2 scouts to several of Rosen’s games home and away per Eric Galko. During the combine the Bills flew in everybody and I literally mean everybody to meet with Josh Rosen including GM Brandon Beane who is reportedly very high on Rosen. Rosen is also one of the Bills top 30 Official visits per Mike Rodak. As far as Lamar Jackson goes the Bills just literally ran Tyrod Taylor who may not be as talented as Jackson but who has the same skill set as Jackson out of town due to his playing style. Now Josh Allen while he was scouted and visited by the Bills they haven’t rolled out the carpet and brought everyone in like they have Josh Rosen. Josh Allen could be their back up option over Lauletta if Rosen doesn’t work out. Now with that said the Bills will need to get up to either picks 4 or 5 then possibly make another move to 2 to secure Josh Rosen. The Cardinals are another team in need of a QB long term. Though they brought in Sam Bradford and Mike Glennon they may just be a stop gap to help develop a QB or be a competing QB for a starter/backup role. The Cardinals have also been linked to Lamar Jackson Logan Woodside and Kyle Lauletta. It seems more likely they will go the developmental route with the winner of Bradford Glennon being the starter then the other being #2 while the 3rd developing. The Chargers are making their intentions known. They seem to be all in on Lamar Jackson at this point. They not only were at his pro day where OC Ken Whisenhunt and QB coach Shane Steichen were one of the few that were able to meet with him afterwards but Head Coach Anthony Lynn met with him during the combine and sang his praises. As noted by Joe Marino of NDT Scouting Head Coach Anthony Lynn is the one who worked with and developed Tyrod Taylor. He also deploys a slant and hitch heavy offense which Jackson has been successful with in Louisville. Jackson will also have the time to develop behind Phillip Rivers. The only question here is will the Chargers need to move up in front of both the Cardinals and Dolphins to secure Jackson. The Bills at 21 if unable to move up and land Josh Rosen will go to their backup plan and select Kyle Lauletta. The reason Lauletta at 21 and not later is explained next. The Saints at 27. The Saints love Mayfield but come to realize after the Jets trading up to 3 that Mayfield to the Saints is as likely as Chubb to the Patriots is. They also like Lamar Jackson but even though it’s more likely than Mayfield its still very unlikely that he’d fall down to 27. So they set their sites on Kyle Lauletta. Here is why, Lauletta possesses the traits Payton likes in his quarterbacks: leadership, intelligence, mobility and the ability to quickly work through his progressions. Also this by Joe Marino The Saints’ dominant rushing attack led by Alvin Kamara and Mark Ingram and a stacked offensive line featuring young studs Terron Armstead and Ryan Ramczyk at tackle enable New Orleans to feature a steady dose of intermediate rhythm throws and play action which is perfect for Lauletta. So why would the Saints pick him at 27 because their next pick is at 91 in the 3rd round. If they want him then they would need to choose him before the Pats could with either of their picks at 31, 43 or 63. While his value may not be that of a 1st rounder this is a QB driven league where they are constantly picked much higher than their stated value. Then that leaves QB Mason Rudolph. While its possible that the Cardinals could take him it doesn’t seem likely they would take him at the 15th pick. Then that would leave him to teams like the Steelers Jaguars and Patriots. If Rudolph went to one in the 1st my guess would be the Jaguars. If the Patriots were interested in Rudolph I’d think it would be with the 1st of the 2nd round picks they have and not the 1st. If Rudolph were selected by the Jaguars that would be 7 QB’s in the 1st round. While I think Rudolph falls into the 2nd round it seems real likely to me that 6 QB’s will be taken in the 1st but 7 could be a possibility. Anyone heard of Oklahoma WR Jeff Badet? He needs to add some weight, but at his pro day he ran a 4.27 and jumped 39.5 and 10’11”. He was doing well earlier this year, but he suffered an injury October 14th and his played noticeably worsened throughout the year. He could be a late steal if he stays under the radar. While he has straight line speed and can be explosive off the snap and running north and south he didn’t run the 3 cone or 20 shuttle which would of been nice but on tape he isn’t nearly as shifty as Tyreek Hill meaning he doesn’t appear to change direction explosively running east to west which usually means a slow or slower 3 cone and 20 shuttle times where Tyreek Hill had a 6.53 3 cone and a 4.06 20 Shuttle which gives him that explosive ability and tendency to make big plays in any direction ie break tackles change direction and gain big yards. Where Jeff Badet is explosive off the snap and getting down the field fast but if he doesn’t beat the defender initially he struggles finding openings changing direction breaking free creating plays. On top of that he doesn’t have a big route tree and doesn’t seem to read defenses well which leads you to believe that he will have a limited role at least on offense. His other concern is his body frame. It seems to be fragile due to the fact that he has had several minor nagging type injuries through out his career which is one reason he has a limited amount of production in each year. You don’t get many chances to stash a guy with a sub-4.30 forty and big-program experience on the practice squad. He’ll be a strong late-round pick if he continues to fly under the radar. Good prospect for priority FA I think. Gronkowski is running in the Kentucky Derby. No Really he is. As of right now Nick Korte of OTC(Over the Cap) Estimates that as it stands right now the Pats will have 2 3rd round compensation picks one from Solder and one from Butler then a 6th round comp pick from Dion Lewis and then one 7th round comp pick from Cameron Fleming in next years draft. A team can have a max of 4 compensation picks. 2 7th round picks 1 Pats original pick and 1 compensation pick. Totaling 9 2019 Draft Picks. Back at the end of Dec 29-31 I brought up an OT out of Cincinnati named Korey Cunningham. I mentioned that he was a converted TE. In 2016 he played RT then in 2017 he was named team captain and played at LT where he didn’t allow a sack on 469 pass blocking snaps. Cincinnati played against the likes of Michigan UCF South Florida Navy SMU during that stretch. Now it wasn’t all pretty he had his fair share of not so nice looking plays and he did allow pressures but even with all that it’s still impressive that he didn’t allow a sack on 469 passing plays. Well since then he played in the NFLPA Bowl where he measured at 6’5 1/8″ weighing 311 lbs with 33 3/4″ Arms and a wingspan of 82″. From there he started training for his pro day that was on March 21st. Here is how he did and why I bring him back up once again. I would say Cunningham is a better Pass Blocker than Run Blocker not that he is a bad run blocker it just seems pass blocking is more natural to him than run blocking is. He also seems to handle speed better than power. Now this is just an observation but it seems that Cunningham gets better as the game goes on. Almost as if it takes a little bit for him to warm up but once he does he plays at another level. As far as overall I’d place him in the same range as Brandon Parker but Cunningham is the more athletic of the two. The Chargers just hosted him on a visit yesterday. Mind blowing scenario #1: Trade Gronkowski for a 2018 1st rounder and a conditional 2019 3rd. This would free up about $6M in cap space, and make it more likely they get immediate contributors at LB and OT. They’d get to choose his landing spot (NFC), and explain why they’ve kept $5M Dwayne Allen around. and we would trade the best TE and one of the best players in the game – why? I was reading a report on this earlier. It suggested BB was getting nervous about Gronk not having committed to playing this year. Nothing concrete just that. Here is someone to possibly to get know better in case BB pulls on of those who is that type of picks and that is Southern Miss Safety Tarvarius Moore. Here is an initial overview. At his Pro Day yesterday he measured in at 6’0″ 199 lbs. He timed in at a 4.32 40 a 6.89 3 cone 39.5″ Vertical and a 134″(11’2″) Broad Jump. PFF had him rated as the nation’s 2nd highest rated Safety at 88.6 overall where PFF also had him on their 1st Team All American Defense for 2017(The other 1st Team All American safety being Derwin James). In 2017 he had 3 Int’s 87 Total Tackles 59 of which were Solo. PFF had him with 8 PBU’s while College Football Stats had him with 11 PBU’s. Tony Pauline has said that he has already had 15 predraft visits and the Pats were at his Pro Day. Hey Stephen J, I saw down below you posted QB Jackson’s wonderlic score. I’ve looked for those man but can’t find them. If you have the scores of other qbs please post em I think its paramount, especially at that position. So far only the top 5 QB’s have been released to the public via podcast through former NFL Scout John Middlekauff where he said that he had asked for this info. (This info meaning what specifically The top 5 QB Wonderlics or Wonderlics in general ???) In any case he only mentioned the top 5 QB’s during his podcast and also mentioned that the teams have had this info for a while now and that only the fans are left out of the loop currently. surprising poor and disappointing numbers. However, what Jackson brings to the game is not measured by a test score or combine or other work outs and passing skills tests. What he brings, including his intangibles and competitiveness, he brings to live action on the field. No doubt his mechanics etc. need work. That is why he is the ideal to sit for 2 to 3 years behind Brady as he refines his game. Thank you Stephen J. Wow, a 37 for allen! I have been working on Safeties for the past 3 days. (Save my worst for last) and while I don’t have a ton of Southern Miss to go off, I liked what I saw from him. Good find. 1st:Isaiah Oliver CB – I feel like we could use a corner still because we don’t know how Jason Mccourty will perform or the others beside Gilmore. 2nd:Leighton VanderEsch ILB-OLB – On Walter Football.com as of 3/25 they have LVE as a 2 or 3 round guy. 2nd:Rasheem Green DE-DT – He could improve his run defense more , needs to add weight if he wants to kick inside on 3rd downs as a DT. 3rd:Kyle Lauletta QB – as of 3/10 Walter Football.com has him in the 3-5 range. 4th:Brandon Parker OT – makes the most sense for a LT replacement IMO. 6th:Braxton Berrios WR – good slot WR, also good punt returner , smaller build. 7th:Darrel Williams RB – Bigger back, has good hands and doesn’t fumble much , career backup in college (behind 2 talented guys). Hey once again you’ve come up with a nice mock, good job. First 5 really approve of. 6/7 on any mock are crap shoots so I don’t judge on them. I’d give yours a A. Be named later to win LT starts. Be very surprised if they view Croston as a competitor for the LT position but Bill hasn’t consulted me yet. Waddle did a respectable job in a couple starts there but not comfortable thinking he’s a prime candidate there either. Garcia maybe, but we won’t get a look at him until at earliest OTA’s. I’m still looking at an early LT in the draft who they hope can get up to speed by mid season. Can’t tell how reasonable that is either? I think at this point, no one has that job, but I really think they have hopes that one of Croston and/or Jelks have developed enough to push for that starting job. I am not even going to factor in Garcia at this point until I see or hear that he is back on the field and isn’t the size of a TE. I agree they pretty much have to hope someone has developed enough. No one is at all obvious right now but keeping my fingers crossed. My fears about Garcia match your own. Not much else to say. We should think about trading WR Brandon Cooks (draft replacement) LSU’s WR D.j. Chair , He’s just as fast, great hands, and 5″inches taller with a bigger catch radius, and great with contested ball or 50/50 ball and a punt returner. Really Cooks hasn’t had a year in the NFL under 1000 yards while Chark’s best college season hasn’t even been a 1000 yards. As far as reliable hands Chark hasn’t had a season where he has had a 60% or better reception %(last two 52 and 58%) where his teammates have had 65-80%+ and as far as punt returns he has had a total of 18 in his career averaging 10.2 yards and in those 18 punt returns he fumbled 1 time. No thanks I’ll take Cooks I know what I have and will get from him and he is worth every penny he is getting paid. Thought about it————– nope to many uncertainties. No guarantee we could get Chark, what could we trade Cooks for? Cooks is proven pro who knows the system, no telling if Chark can pick it up quickly or if at all? If we keep Cooks worse case if he leaves at end of year we get at least a 3rd comp which is about what we could trade him for imo, it’s his size limiting his value. I just watched the Louisville pro day on the NFL Network. Lamar Jackson had a good pro day, he improved his base and footwork, he showed a lot of short to intermediate touch passes and a few deep balls. He looked better than Teddy Bridgewater at his pro day. I believe some team will take Okla. State’s Mason Rudolph before Jackson. If the Patriots had a scout at this pro day, they should tell Nick Casario and Bill Belichick to be ready at #31 or get ready to pounce at the top of the 2nd round. No offence to the other Qbs Kyle Lauletta, Logan Woodside, Like Falk, and Mike White but they will have a tough time following up Tom Brady here in New England. Lamar Jackson is different and his intangibles are off the chart. I believe he would push Tom, Like Jimmy did in a different way. Nick B., I understand we need some pieces on the defensive side of the ball, but you must understand the some Patriots philosophy when it come to drafting, 1) The Patriots don’t draft star athletes or individual accolades 2)We add pieces to our existing team, not to replace. 3)If you draft for need, and that player doesn’t work out, that might get you fired! Best player available is the best option. 4)The Patriots have a tier system for players, based on the MIT article. I have a strong feeling the Patriots will trade down once or twice, the #43 pick is draft capital of we don’t get a QB early or late. J H, I agree partly with what you saying but are we sure L. Jackson will be best player available or even the best QB available? Right now the LT position is flapping in the breeze and TB’s must have protection on that blind side. No disrespect to Jackson but he doesn’t effect that in any way and that’s a reality. We must replace Solder by the draft if no other way? If any OT drafted doesn’t work out we are no worse off (still bad) but we must try. If something changes, like Bill trades for a good LT, I’m open to a QB, CB, even a TE. Till then I’m against it. Could you believe how many drops the WR’s had in that pro day. My gosh, that was brutal. I think 4 of the first 6 passes were drops. Lots of drops, but not Jackson’s fault. Good eye Mike G.
Worth noting again that his WR’S drop a ton during the season. I think it was the highest %. Wonderlic score isn’t what you want but that doesn’t me tbh. I really doesn’t. Marino scored 15 I believe. It’s a snapshot now & I feel Jackson is a 1-2 year guy you want to develop. I’ve seen numerous high skilled passes & decision making in game to be more than comfortable w him. he also threw behind receivers and threw low where his WR’s made adjustments to make catches then there is this fantastic catch https://j.gifs.com/Q02Jnl.gif on an overthrown or poorly placed ball that the WR had to dive and stretch for. Then him scoring a 13 on the Wonderlic didn’t help his stock any. Plus teams haven’t been able to even get/schedule appointments with him due to his mother being his agent. All these things make you wonder how much his inconsistency is due to just his footwork or is it his decision making/processing information which then leads to bad footwork/inconsistent decisions/throws. I am believing it’s the latter. I want to believe in his potential but he hasn’t shown anything this off season to make me excited in selecting him just the opposite. Do you see Jackson as a scheme fit? Personally I do not. He is excellent as a pure zone corner, but he played very little man and when he did, it was not pretty. He is a very good player if he is put into the correct system. The Patriots went more man last year and Gilmore seems to favor that style. Patriots prefer guys who can play both because it gives them scheme versatility. That is why I am so high on Jaire Alexander. He will go much higher than I have him ranked. See, I don’t think he is intriguing. He’s fast because he’s light. If he adds weight, he’ll be slower and still short. He appears to have some skills, but with CB it’s a constant balancing act to get the size/speed/skills needed impose your will rather than be victimized by medium-to-large WR. The Pat’s trend the last couple off seasons has been to add more 6’+ CB…even to the PS. Jonathan Jones aside, it doesn’t seem like they’re even trying to develop smaller CB. I wouldn’t rule it out either. Just this week alone they spent a considerable amount of time on 2 cb’s between visits/interviews and workouts. The two CB’s I’m referring too are JALEN DAVIS, CB, UTAH STATE who measured in at 5’9 3/8″ and 181 lbs. Also Duke Dawson who is 5’10 5/8″ 197 lbs and is one of the Top 30 visits the Patriots have conducted. On the field, Davis is a ballhawk who looks to make plays on the ball and has excellent ball skills when he gets there, as proven by his five interceptions along with his 12 passes broken up in 2017. Opposing quarterbacks didn’t have much success targeting Davis in 2017 and his 30.5 passer rating when targeted ranked third among all draft-eligible cornerbacks. Davis can play outside, in the slot or on the back end at safety. He played 173 snaps in the slot and 328 outside in 2016. In 2017, Davis played 350 snaps in the slot and 310 outside. He is at his best in the slot and opposing quarterbacks only had a 27.7 passer rating when targeting Davis there, a number which ranked first among all draft-eligible cornerbacks. NFL teams will value his positional versatility and his ability to make plays on the ball.